The pianist Rebeca Omordia's new disc of piano music, Ekele, on the Heritage label explores her Nigerian heritage (her father is Nigerian and her mother is Romanian) by recording a selection of music by three major names from Nigerian art music, 20th century composers whose work is barely known in Europe, Ayo Bankole, Fred Onovwerosuoke and Christian Onyeji. The disc is very much a personal project for Rebeca, she had done significant research into the Nigerian art music and is keen to make the works better known. Nigerian classical music emerged in the 20th century and its founding father is Fela Sowande (1905-1987). Religion is important in Nigeria, everyone had access to music through church and Sowande's father was the musical director of Christchurch, Lagos. Fela Sowande was in the choir, and learned organ as well, in 1934 he came to London to study. His work in the UK mixed classical (he studied organ with Edmund Rubbra and became a Fellow of the Royal College of Organists, and a Fellow of Trinity College of Music) and popular (he played as a duo-pianist with Fats Waller and was the pianist for the 1936 show Blackbirds at the Gaiety Theatre). He returned to Nigeria, broadcast on TV and Radio and lectured at the University of Lagos. Younger composers followed suit, such as Ayo Bankole (1935-1976) whose piano sonata is included on Rebeca's disc. 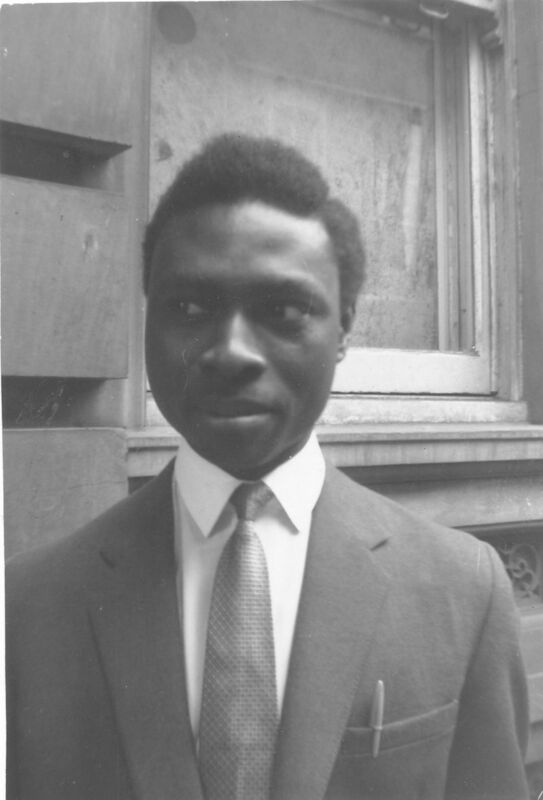 Bankole studied in London and worked as a musician in Nigeria. These composers, trained in Western classical music also used the music of their homeland in their compositions, and Nigerian art music is very much a product of Colonialism, a blending of indigenous and Western traditions. I was interested to find out exactly how Nigerian the music on the disc is, as the composers have all had an element of training in Western classical music. Rebeca explained that to Western European ears, Ayo Bankole's piano sonata probably sounds rather European both in its structure and harmonies. It is rather a Romantic work, despite being written in 1960, but for Nigerian ears, there are other influences to be detected too. Rebeca explained that though there are around 200 dialects and languages in Nigeria, there are three main tribes Yoruba, Igbo, and Hausa. Ayo Bankole was Yoruba, Christian Onyeji is Igbo, and the Hausa tribe, from the North, is Muslim and no composers belong to this tribe. When writing classical music, composers tend to use tunes from their own tribes, along with characteristic rhythms and melodies. The second theme of the first movement of Ayo Bankole's sonata is a Yoruba tune so that listeners with a Nigerian background hear the sonata differently. 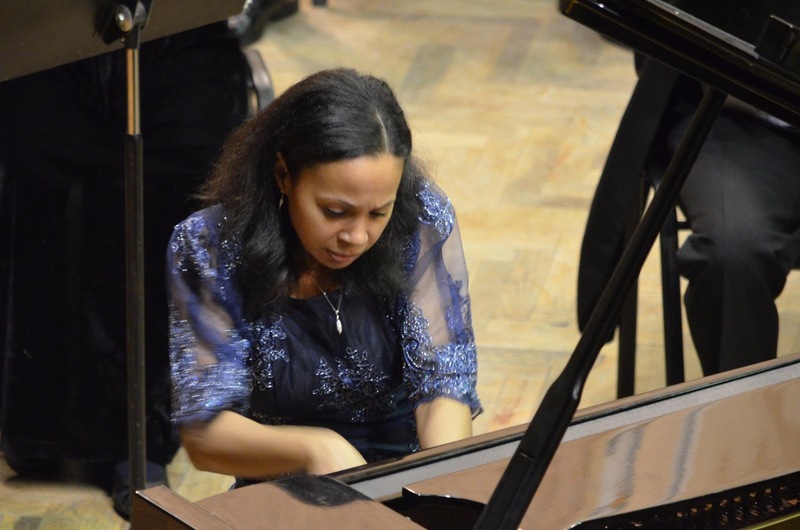 Rebeca was recently in Nigeria and played Ayo Bankole's sonata and many people (those from both classical and non-classical backgrounds) could hear the Yoruba rhythms and tunes in Ayo Bankole's sonata. Ayo Bankole is probably the most famous of the Nigerian classical musicians but unfortunately, his early death cut his career short (he and his wife were tragically murdered in 1976). But his son is a musician, Ayo Bankole junior, and he promotes his father's music. 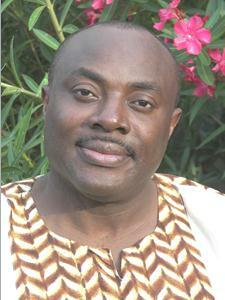 Fred Onovwerosuoke (born 1967), generally known as Fred O because of his complex surname, was born in Ghana to Nigerian parents. 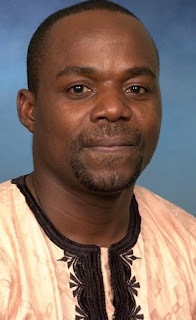 He studied in both countries and is now based in St Louis in the USA where he is director of St Louis African Chorus, a foundation that promotes the music of Africa, and director of the African and Afro-American Music Festival in St Louis (Rebeca has played at the festival). Fred Onovwerosuoke travelled all over Africa gathering musical material and produced his piano studies 24 Studies in African Rhythms, each study features a dance or song from a particular African country. Rebeca is playing eight of the studies on the disc, and comments that they are technically challenging partly through the complexity of rhythms. (You can see Rebeca playing study no. 24 on YouTube). Rebeca Omordia was raised in Romania where the influence of the Russian school thanks to Communism was strong so her background was very much classical music with the great composers. She came to the UK in 2006 and it was only after she met Julian Lloyd Webber that she discovered other areas of classical music. She was Julian Lloyd Webber's duo partner from 2012 to 2014 and he introduced her to British music all of which, except the music of Elgar, was unfamiliar to her. As a result, she asked herself whether there might be any Nigerian classical music and so started investigating. Most of the music was never published (of the music on the disc, only Fred O's studies have been published) and Rebeca's research involved contacting composers and their families, and musicians in Lagos. The whole process took three years, she discovered that there was a lot of music out there and she selected what she felt might be best for a first disc. As soon as she acquired the music she started playing it, the first occasion was in 2013 for the African Union's 50th anniversary in 2013, and also that year she played the music at Fred O's African and Afro-American Music Festival where she played a mixed programme of Western classical works and Nigerian works. Ever since she has been including Nigerian pieces in her recitals. In addition to piano music, there are lots of songs and chamber music. Whilst she was still performing with Julian Lloyd Webber there was a plan for Julian to record some Nigerian music, as there was nothing for cello the idea was to record transcriptions of some of the songs but Julian Lloyd Webber's accident prevented this happening. Rebeca hopes that the disc might be the first in a series, there is enough material for there to be a second disc of piano music, and discs of songs and chamber music. As very little of the music is published (Fred O's studies are available but the rest is not), Rebeca is hoping that the disc's release might lead to enough interest to publish the music. This first disc is self-funded, and Rebeca clearly hopes that it might lead to interest from other people. 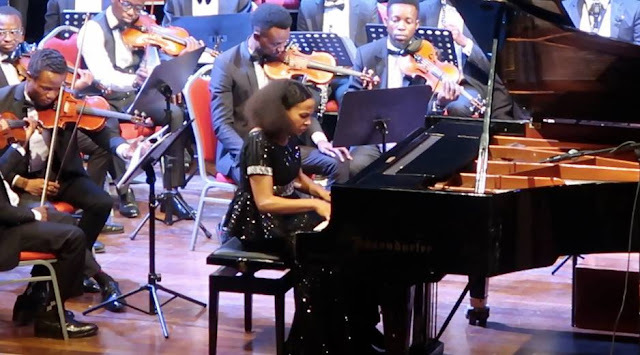 When we met, Rebeca had just come back from Nigeria where she had made her Nigerian debut playing with the Musical Society of Nigeria (MUSON) in Liszt's Piano Concerto No. 1 as well as a piano recital where she played Ayo Bankole's sonata, Fred Onovwerosuoke's studies and more, and she did a masterclass with students from MUSON School of Music. Rebeca is having a launch event for the new CD at the Romanian Cultural Institute on 17 April 2018, tickets are free but have to be reserved on-line, full details from EventBrite. Full details of Rebeca's forthcoming concerts from her website. Rebeca's disc Ekele is available to pre-order from Amazon.